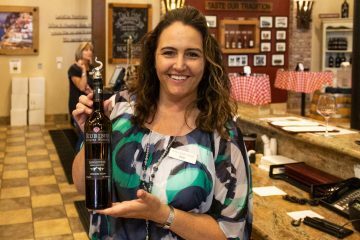 Are you in Livermore and thirsting for some Italian-style wine? 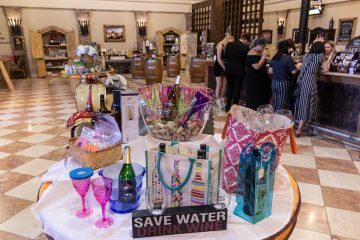 The solution is just around the corner: Rubino Estates Winery. They call it Cal-Ital, but we call it amazing! 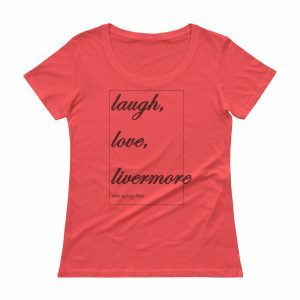 So Rubino Estates Winery and its sister winery, Ruby Hill, are in the Livermore Valley, but technically in Pleasanton. 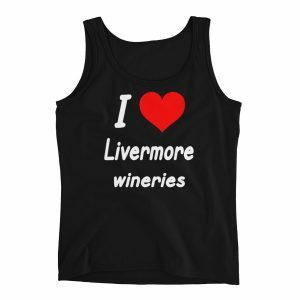 That only matters to your GPS, though, because the grapes are Livermore Valley at heart. The wineries share vineyards, winemakers, and often tasting room staff, but the wines definitely has their own unique points of view. 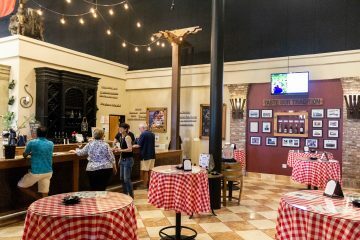 We were in the mood for a quick visit to Italy, so we made our way to the large (especially by Livermore Valley standards) tasting room and selected a table for a seated tasting. 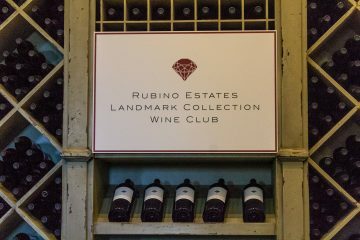 We were touring with some good friends who are wine club members at Rubino, so we had so many wines from which to choose! We met wine guide Erin and put ourselves in her capable hands for crafting a tasting flight. Years of experimentation has shown this to be a very successful strategy, and Erin really came through for us. We started with the 2016 Rosé of Nebbiolo. The aroma of roses and sea foam intrigued us, and the tart cherry flavors sealed the deal. Nicely balanced tannins rounded out the finish to deliver a wonderful summer sipper. This is definitely the season for this Rosé. We next had our first head-to-head tasting: their two Sangioveses. 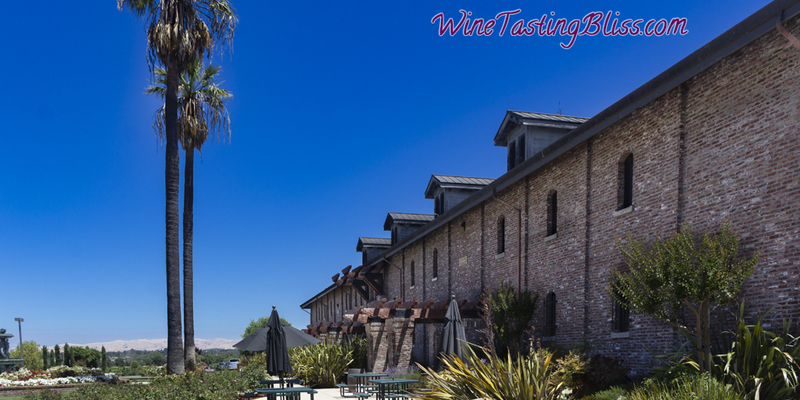 Their 2014 Sangiovese Riserva was Erin’s favorite, and we, too, became immediate fans. A waterfall of fruit layers dancing lightly across the tongue, leading with deep, dark plum notes. Our Take Home list had an immediate leader! The 2014 Landmark Sangiovese (a wine club exclusive) was no slouch either, with a muted nose and nice fruit. A few more years on the wine rack will mellow out the tannins and deliver an amazing wine. We then compared their Barberas! The 2014 Barbera Riserva had a gorgeous color, restrained aromas and interesting flavors of coffee, anise, and pear, with a tart cherry and lemon zest finish. The 2013 Landmark Barbera (another wine club exclusive) was incredibly smooth, yet bright with a clean finish. This wine would be equally at home being sipped on the patio or pairing with a thick steak. Head-to-head tastings completed, we next tasted some club-exclusive blends. First up was their 2014 Tuscano, a blend of Cabernet Sauvignon, Barbera, Sangiovese, Petit Verdot, and Nero D’Avola. Abounding flavors of berries and tobacco, with a crisp, acidic finish, this is a great food wine. Their 2014 Amuleto, blended from Barbera and Sangiovese, was a bold and peppery wine finishing with plum and blackberries. We finished up with the 2014 Ferrario Barbera, blended from Petit Verdot, Zinfandel and Petite Sirah, was another group favorite with nuanced layers of cola and black cherry and a gentle finish. We totaled up our Take Home list, thanked Erin for crafting a remarkable tasting flight, and set off into the setting sun. 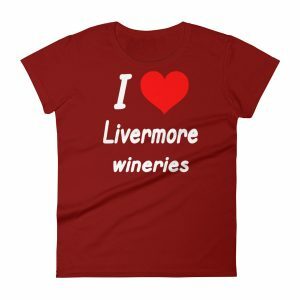 Another great day of tasting in the Livermore Valley! 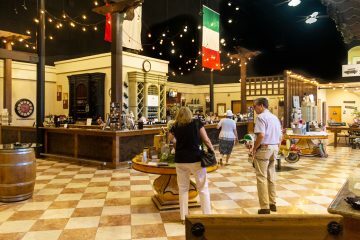 Have you visited Rubino Estates? Click to give'em a tweet of support!